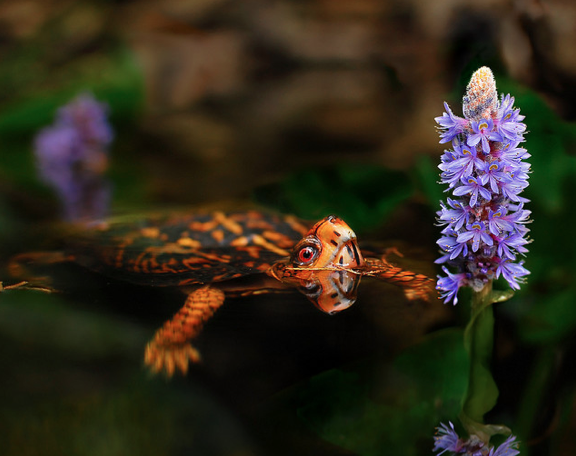 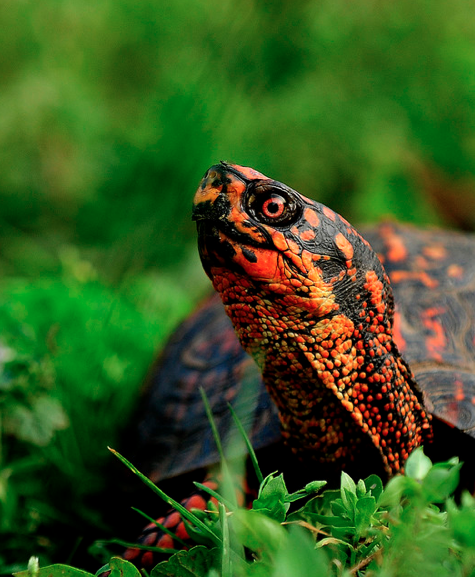 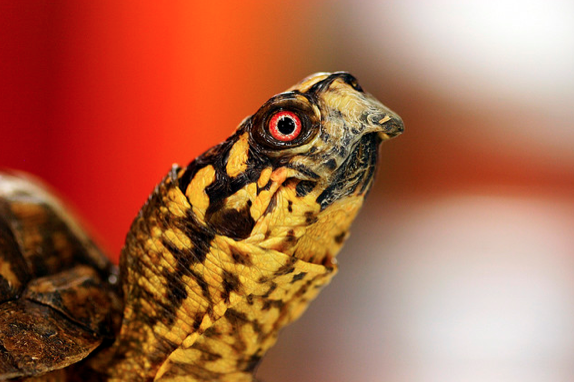 This beautiful creature is the Eastern Box Turtle and its one of only two species of box turtles found in the United States. 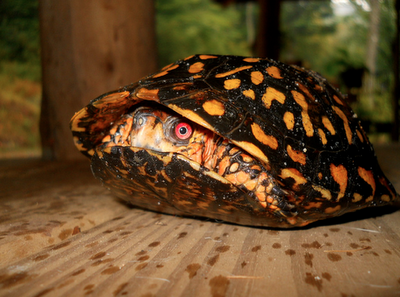 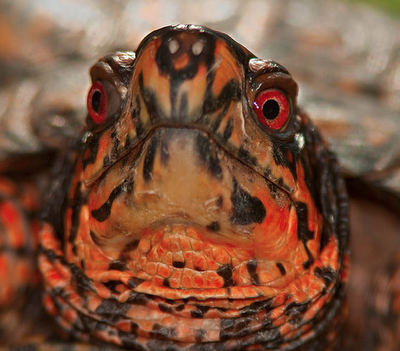 It’s actually the only “land turtle” in North Caroline, where it’s the state reptile. 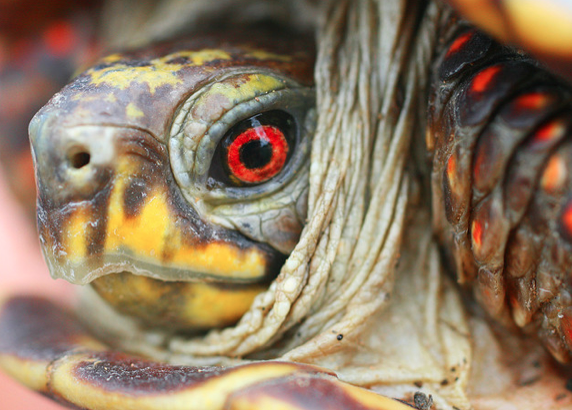 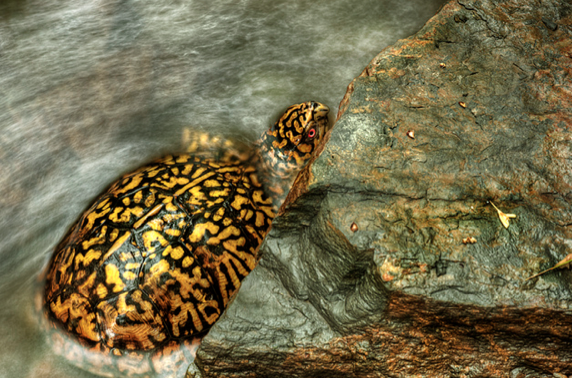 The Eastern Box Turtle’s skin comes in many wonderful shades, including yellow, brown, redish orange, and everything in between. 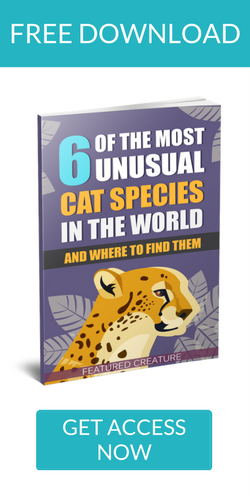 this is probably pretty rare. 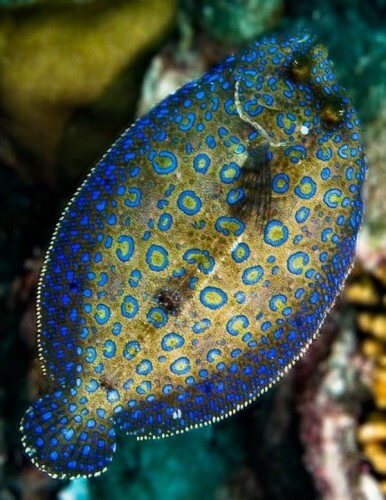 The Peacock Flounder Looks Like a Peacock But Acts Like a Chameleon! So Basically, It’s Really Awesome.